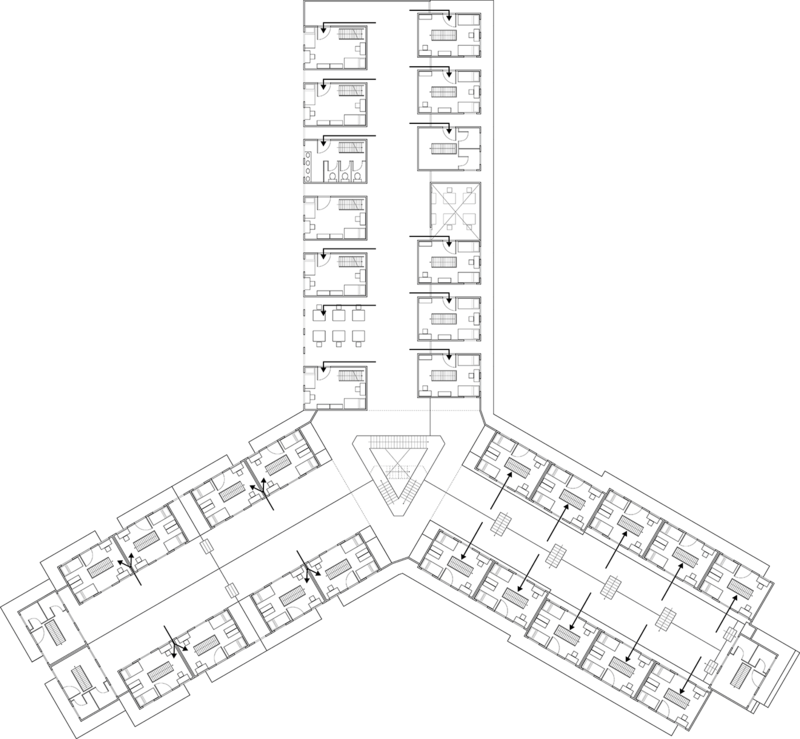 This project, a dormitory, proposes a system of quad rooms composed of two doubles lofted together in order to maximize the use of space in order to fit the given programs. These quads were then arranged to create neighborhoods of quads, providing 3 different living styles for students according to their preference for more individuality, smaller clusters, or larger groups. 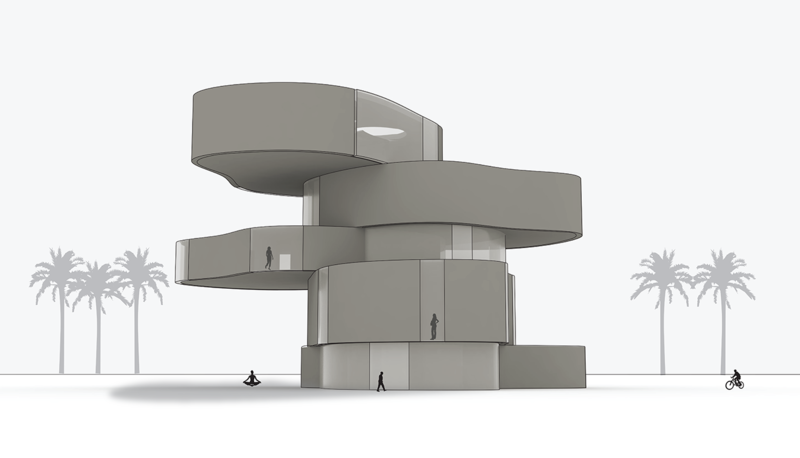 Certain requirements pertaining to program, overall dimensions, and facade design were given. The efficiency of the quads enable 330 beds to be accommodated in this proposal, 60 more beds than required, and significantly more common space is produced.